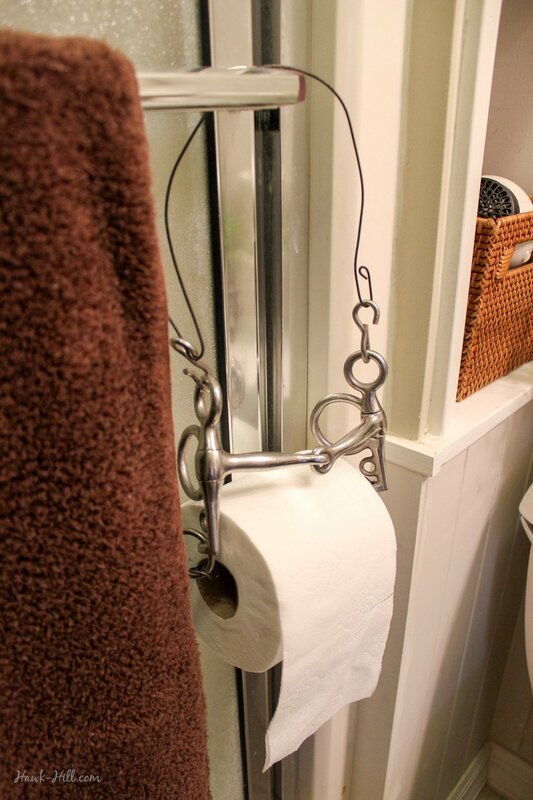 Equestrian decor is practically a love language for me, so as a sequel to Repurposing Horse Halters for Equestrian Home Decor, here’s a mashup post collecting shots from other parts of my blog, showing various ways I have re-purposed and decorated with horse bits. 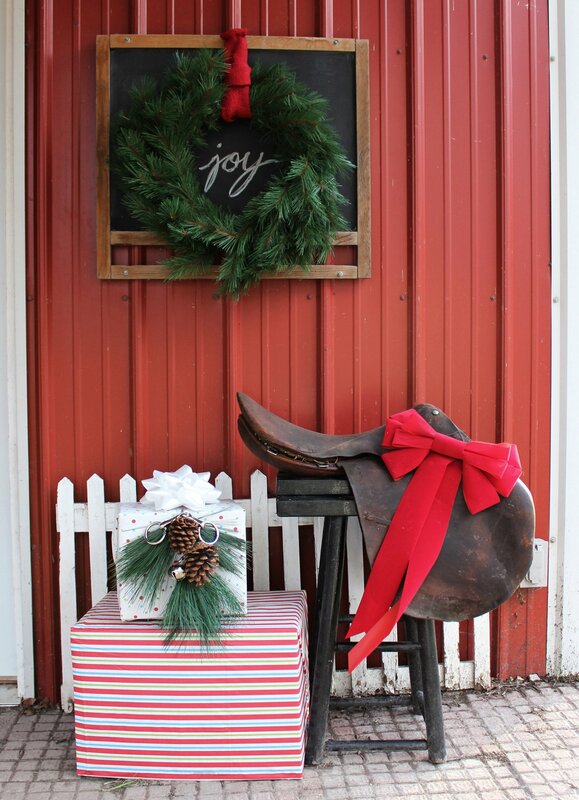 Typically I call my style “Equestrian Inspired” as opposed to “Western”, but plenty of these uses could work for both Western or English riding inspired decor styles. Either as sentimental reminders of horses lost or sold or displayed as a kind of art, valued for their interesting lines, finish, and structure, horse bits make interesting wall decor- certainly more interesting and arguably more beautiful than the latest off-the-shelf big box store metal “wall art”! These pelham bits were second hand finds. I never used them in the stable, but loved the warm aged brass tones. I don’t remember where I acquired these two old brass Pelham style English curb bits, but I love their lines and the patina of their finish. 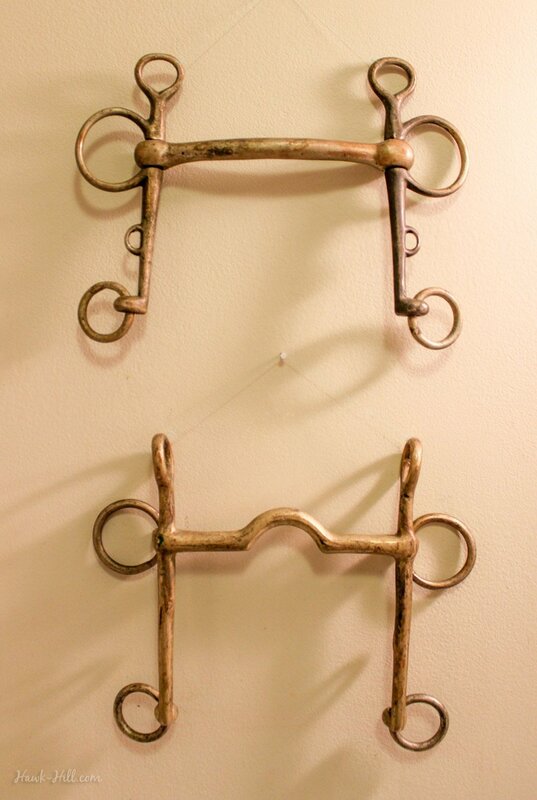 Though brass bits have been out of style in the horse show ring for many years now, they make stylish and unique wall art. Click here for the quick tutorial to make bits into art. I desperately need to refashion a new hanger and rephotograph this entry, but I will share my “first draft” anyway. For this toilet paper holder, I bent a section of wire into a shape to clip into place on the lower rein rings to hold a cardboard roll, and a second section of heavy industrial wire into the shape of a holder just to see if the jointed mouthpiece Pelham would be stable enough for this use. It was, so a more attractive hanger is a work in progress. 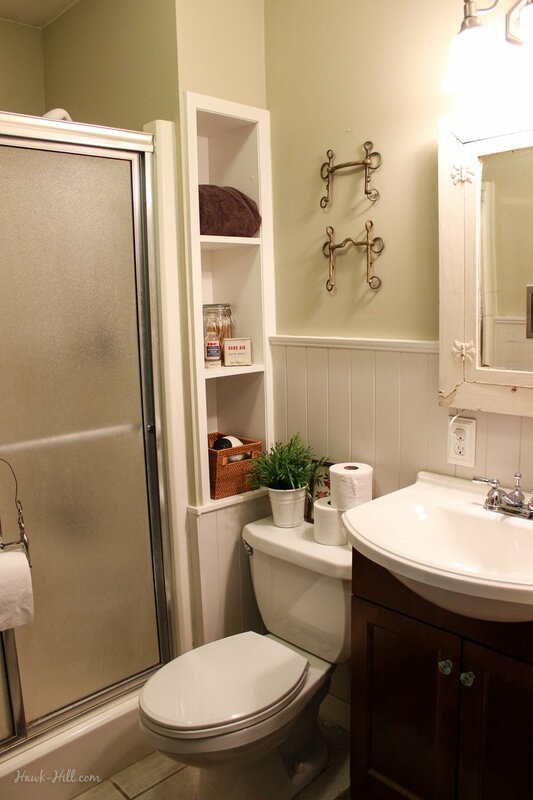 Incidentally, creating a hanging toilet paper holder that connected to a towel bar solved a tough design challenge in this tiny bathroom. 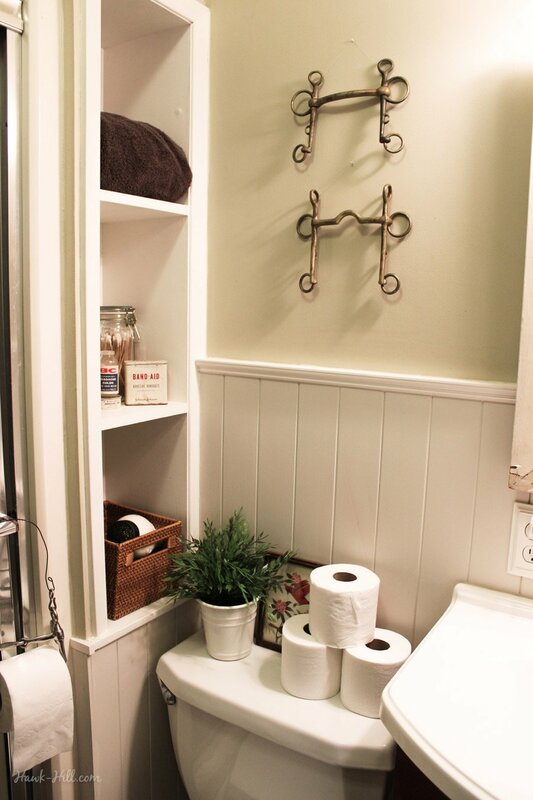 By hanging it in this location, the need for an awkwardly placed floor or wall-mounted toilet paper holder was eliminated. At Christmas, we wrapped plastic holiday themed tablecloths from the dollar store around cardboard boxes to create weather-proof Christmas present barn decorations. Adorned with a sprig of (fake) evergreen and pine cones, a chrome miniature horse snaffle bit added the perfect bit of silver to complete the look! Miniature horse sized bits make perfect little decorations for adorning wrapped gifts at Christmas. 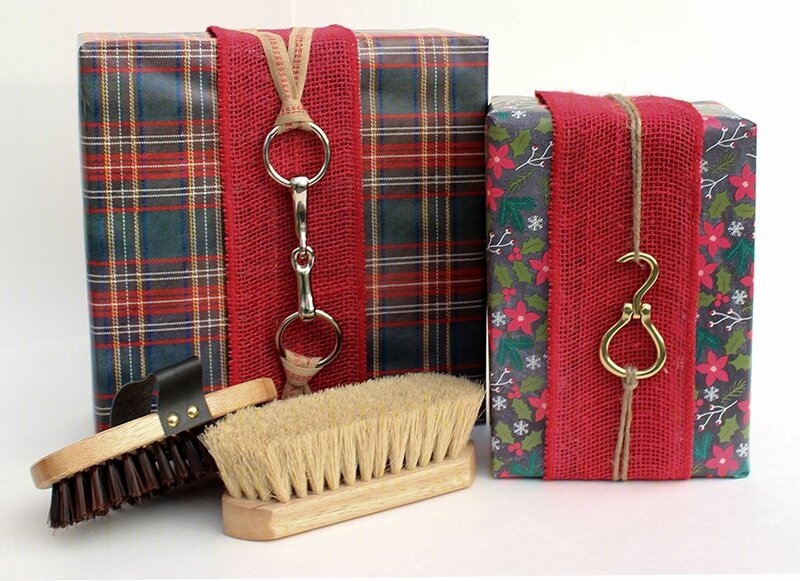 See more about using equestrian hardware to wrap gifts. Full size bits can dwarf medium and small sized gift boxes, but miniature horse bits are about the same price as a fancy bow and make cute, reusable decorations. Though since taking this photo I have switched to using more proportionally size appropriate pony or miniature horse bits, bits can turn a plain, cheap wreath into something distinctive and unique. 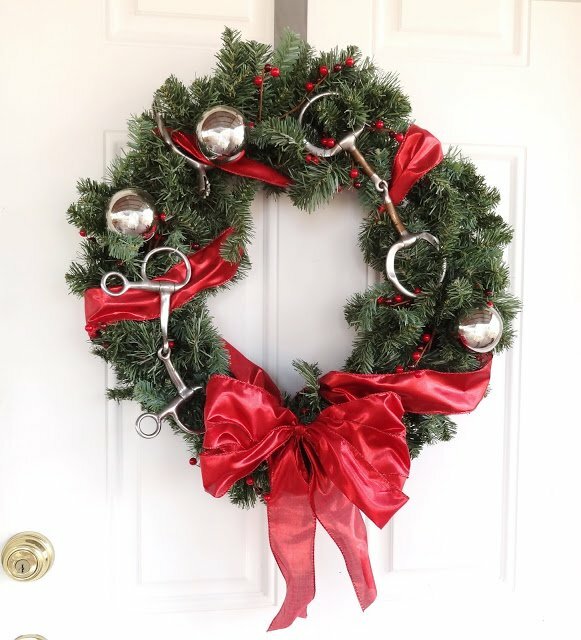 Just wire the bits to the frame of the wreath with a bit of floral wire (or, if you’re farm savvy, electric fence wire0 which is silver- makes a great tone-on-tone fastener. 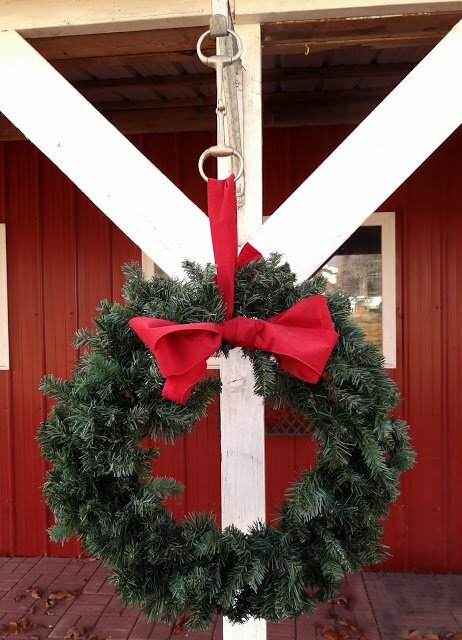 I’ve think that snaffle bits make great decorations at the front of our barn. At the top of each porch column is a bracket with hook for hanging baskets. 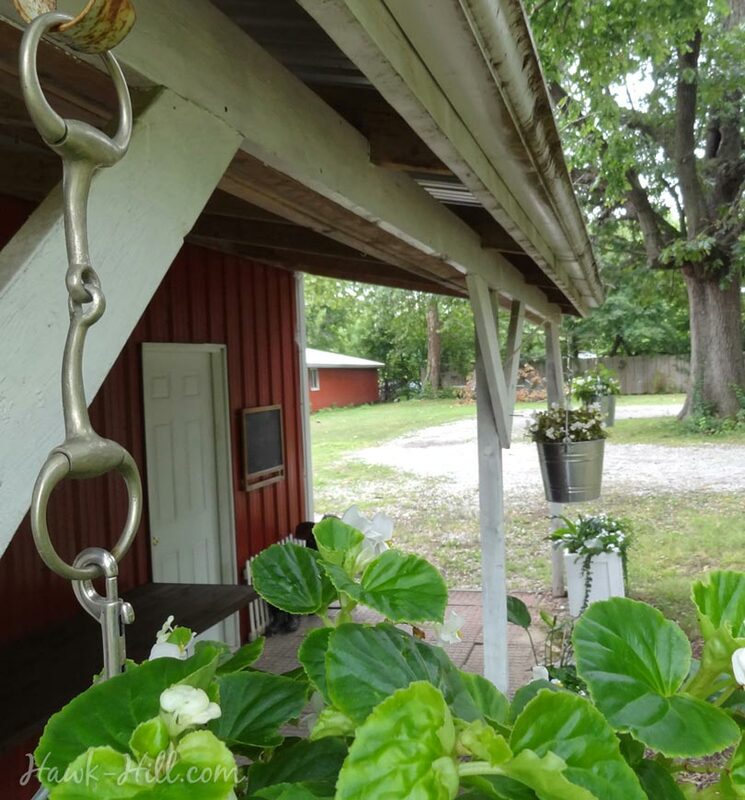 When I hang the buckets directly on the hanging basket bracket they seem too high, and bits are a great way to lower them and add equestrian style. 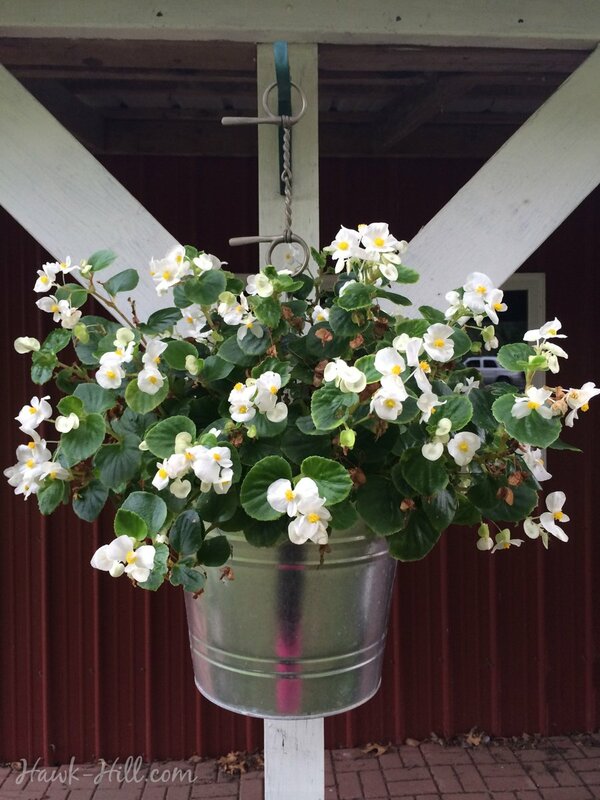 I use a snaffle bit to space down from the hook, then use a double ended snap to connect a flower-filled galvanized bucket- both of which feel appropriately fitting for a horse farm. 1 bit per beam, each of the 5 beams has a unique bit salvaged from the stable. 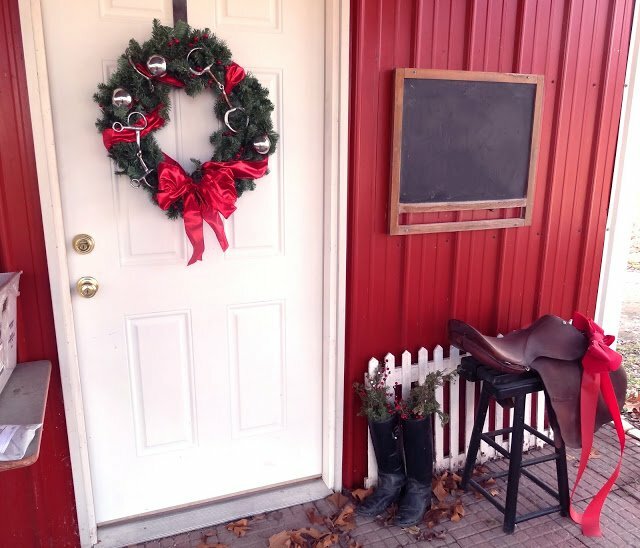 These are 6 of my favorite ways to repurpose horse bits for decorations around the house and barnyard- what’s your favorite non-equestrian use for horse bits? Thanks for visiting and encouraging me to keep at it!